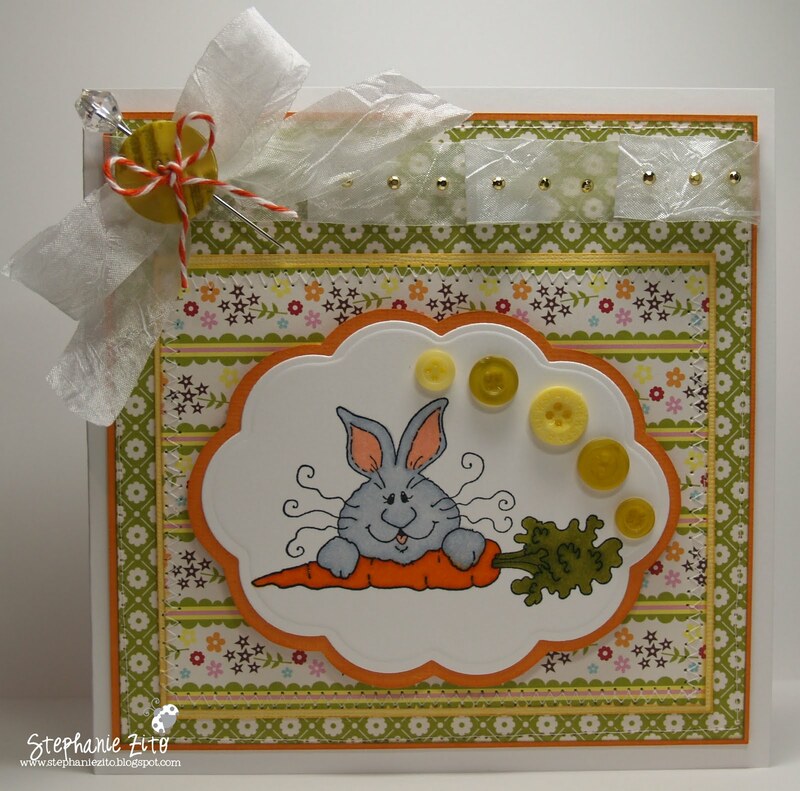 Here's another card made with the April Art Freckles card kit. I can't believe how fast Easter is creeping up on us! Products used: Jillibean Soup dp, Neenah and Bazzill cs, High Hopes Peeking Bunny, Nestabilities, Creative Impressions ribbon, Twinery Twine, TCP bling, Maya Road pin, Copic markers, Copic Atyou Spica, machine stitching and u/k buttons. Inspiration for my card came from this week's challenge #50 at Phindy's Place and challenge #147 at A Spoon Full of Sugar. Hi Stephanie. Pretty papers & ribbon to set off your image. Lovely card. Thanks for joining us at Phindy's Place. Very cute STeph!! I love the ribbon/bow!! The buttons look great inside the frame (: I love the nice bright colours too!! !